Fisher Price Power Wheels toys are great fun for children but even the best electric cars for kids develop faults. Kids learn through imaginative play besides just enjoying a ride and if the electric vehicle becomes faulty it can cause serious disruption to a child's fun! There are different types of Fisher Price electric vehicles in the Power Wheels range and although these toys are manufactured to some of the highest standards, they will still need to be repaired from time to time because various parts get old or worn. However, you can get your child back on the electric ride-on by purchasing the right power wheels replacement parts. Fortunately, most of the faults with these vehicles are pretty common so we were able to compile a list of the top 10 replacement parts you are likely to need for different faults. Batteries are an essential component of any power wheels car toys since they are their only source of power. Batteries are often reused to a point where their charge retention becomes inconvenient. When you keep charging the batteries and never gets enough time riding the toy, consider replacing them with new ones. Make sure to check whether your child's electric ride-on has a 6 Volt or 12 Volt battery first! Another thing to check is the color of the battery. The batteries are in Gray, Orange, Blue or Red and each color is different. Make sure you get the same color as your existing battery! The steering wheels and steering wheels retention cap are some of the easiest parts to damage. Kids will often bang and sit on them, pull and rotate them to the end and even try to force them off. The steering wheels and retention caps are often hard to find replacement parts that are only available from specialist parts importers. 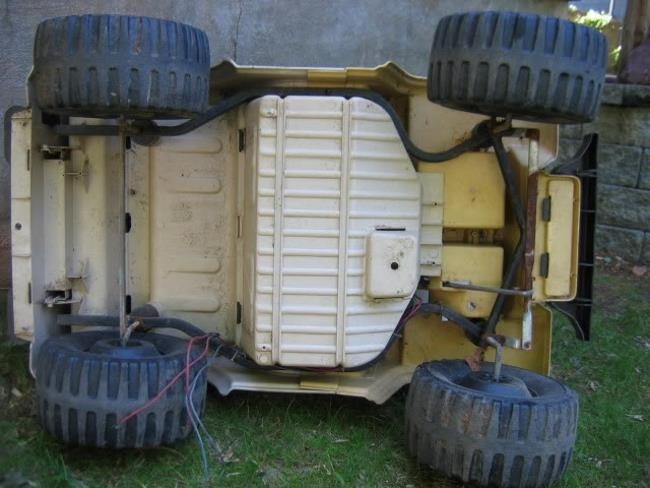 If you are in the USA you can find high-quality reliable replacements at Tiger imports here: http://tigerimports.net/parts.php?brand=power-wheels. The key housing of fisher price power wheels toy cars are quite susceptible to damages. When these parts get damaged, it is best to remove them and install a completely new set consisting of a new key and housing. Find the best parts for your particular model at Tiger imports in the USA here: http://tigerimports.net/parts.php?brand=power-wheels. The Power Wheels replacement wheels are solid cylindrical parts that turn and move the power wheels cars. These wheels can get damaged through knocks and friction and over years even wear out altogether. When the damage prevents the toy from moving at all, you may consider buying a new replacement wheel. There are a couple of replacement wheels available that will fit most models. See our recommended Fisher Price Power Wheels replacement Wheels page (Amazon discount link). Of course, if you change your kids electric ride-on wheels, the retainer cap for the wheels might also need replacing as they are not really designed to be re-used. Instead of nuts and bolts to keep the wheels on, Power Wheels use a retainer cap which is like a clip on the axle. These are common replacement parts that will wear with extended use of the toy. The wheel retainer caps might fall off or even break apart over time. The more your kid rides the toy, the easier it becomes to loosen or destroy the retainer caps. There are a few different sizes, so be sure to measure the diameter of the axle first! Headlights and tail lights can get knocked out and crushed in mini toy accidents. They may also fail when the fuses are blown or due to some form of electrical problem. When they are irreparable, you can purchase a new set of power wheels replacement lights for your particular model from Tiger imports in the USA http://tigerimports.net/parts.php?brand=power-wheels. You must always choose products that feature comfortable seats. Most power wheels toys have removable seats which to some extent results in quick damage when taken out to be used in other play scenarios. 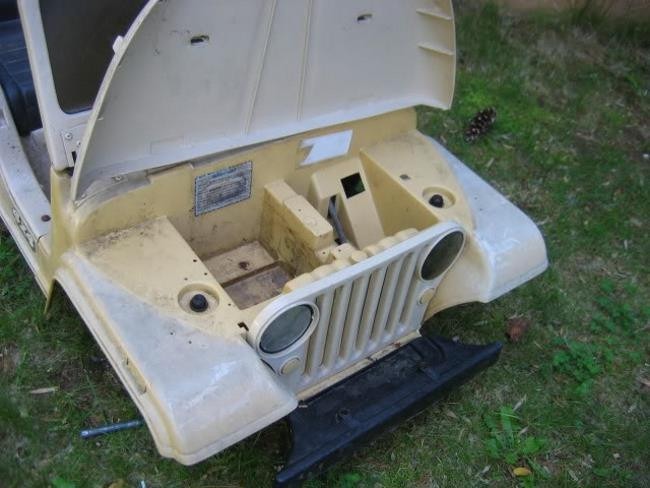 Luckily, seats are easy to fix and you can find attractive new replacements from the USA Tiger imports here: http://tigerimports.net/parts.php?brand=power-wheels. The hood latch mainly supports the upper body (hood) of the Power Wheels car electric ride-on toy. Some toys have no opening hoods although most do and often look more attractive. The latch may break or lose its support. Buy new hood latches that match your toy at http://tigerimports.net/parts.php?brand=power-wheels. This is a system that allows the toy to adjust speed and shift from forward to reverse accelerations. When the shifter assembly has a problem, you cannot effectively use the toy and since most assemblies are unique, you may need a new one that is specific to your model. Find the right model for your toy at our recommended Power Wheels Shifter Assembly discount link. There are several other parts such as replacement switches, accelerator switches and axles which all require replacement when they get damaged. Always ensure you purchase power wheels replacement parts from a credible reliable distributor/retailer who can guarantee genuine high quality products. This links leads to some of the tested and reviewed replacement parts that you can use if things go wrong with your child's ride-on. All products are reasonably priced affordable and suitable for most of power wheels toys from Fisher price, click here: Fisher Price Power Wheels Spare Replacement Parts (Amazon discount link). Than you for reading our guide to Fisher Price Power Wheels replacement parts! Power wheels are some of the most popular and best kids electric ride-on toys on the market so if you own one or have experience with repairing one, please share by commenting below! 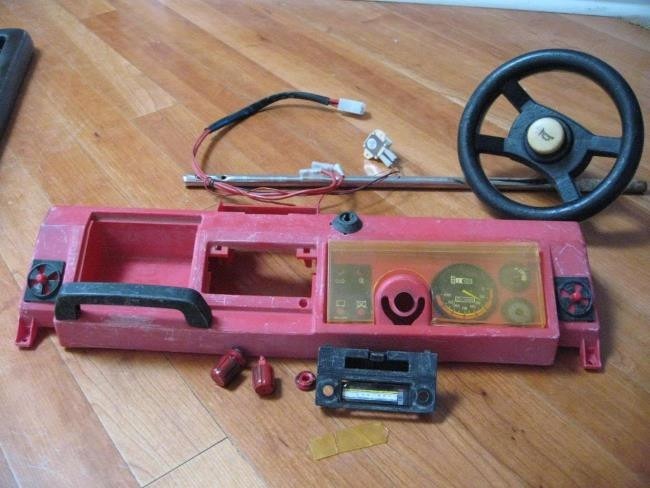 Repairing a worn out electric ride-on toy can be satisfying for both parent and child! It depends on the Power Wheels model as they have different battery sizes and chargers. Do you know the power rating of your battery and the Power Wheels model? Is The Oxelo Town 9 Premium Adult Kick Scooter Worth The Price? Is The Razor A5 Lux The Best Value Adult Kick Scooter?